Q-created phenomena. Rift caused by anti-time particles in the future. Anomaly grows backward in time endangering all life in the past. Plays on table. 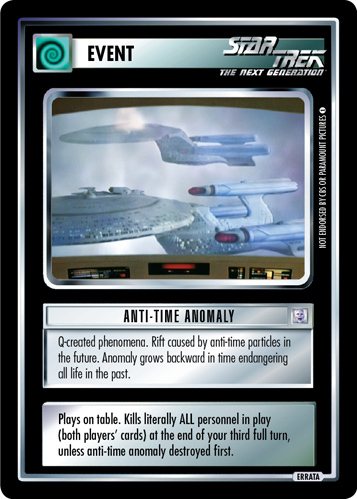 Kills literally ALL personnel in play (both players' cards) at the end of your third full turn, unless anti-time anomaly destroyed first.